LEXINGTON, Ohio — Builders Row in the Old Bike Barn Crossroads at AMA Vintage Motorcycle Days offered folks a chance to check out the latest custom designs from some of the smaller American shops. 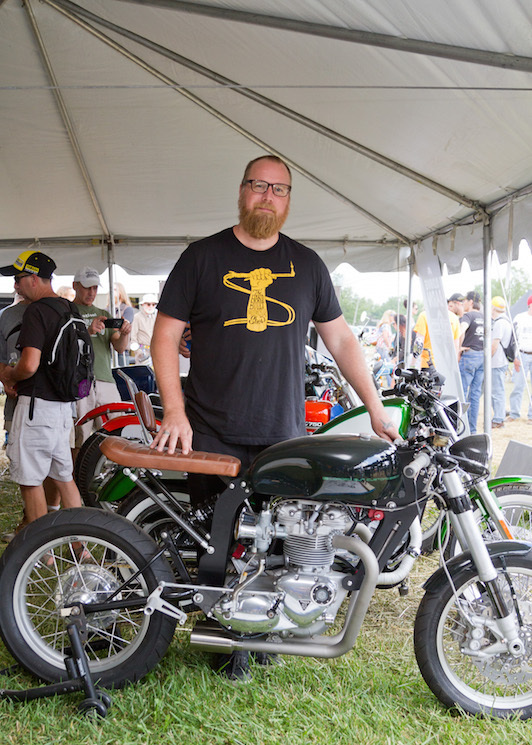 Ben Davis, owner of Legion Cycle Works, traveled from Middletown, Del., to AMA Vintage Motorcycle Days, featuring Riders of Kawasaki. It was his first trip to the event. "This is a great event," he said. 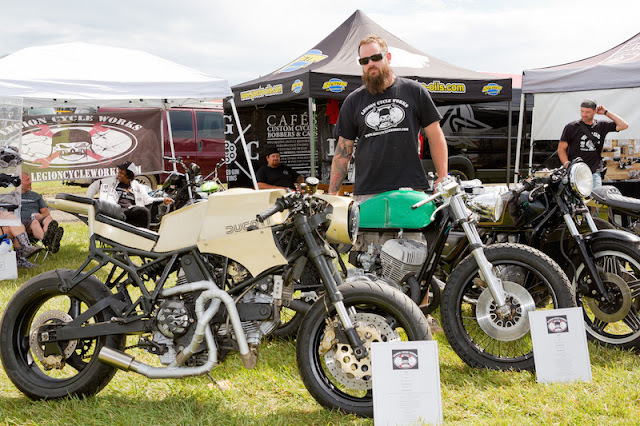 "It's cool to see all the vintage bikes and be around so many people who share the same passion." 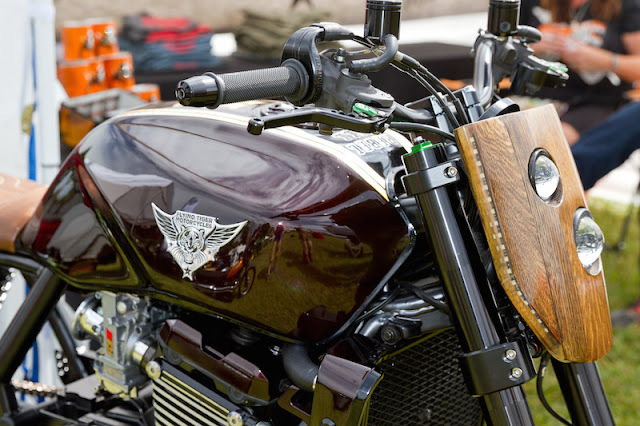 Legion is a custom shop that also handles basic repair and service. 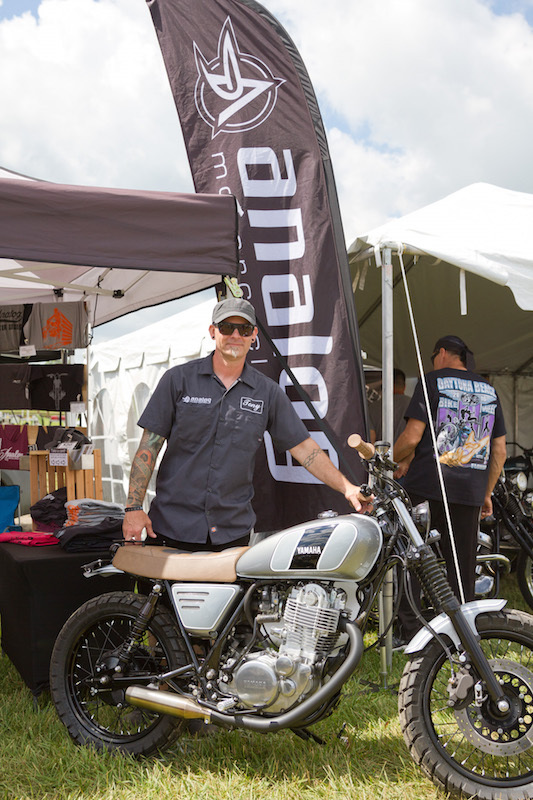 "We do everything from engine work to exhaust fabrication to custom fuel tanks to complete bikes," he said. "If somebody has something in their head, we try to make it happen for them." One booth over, Eric Bess of Flying Tiger Motorcycles was displaying a couple of bikes he built for a St. Louis-area whiskey maker. "We did some work for Rebel Yell on some other bikes," he said. "Then they asked if we'd like to build a couple of bikes for them, We said, 'Absolutely!'" 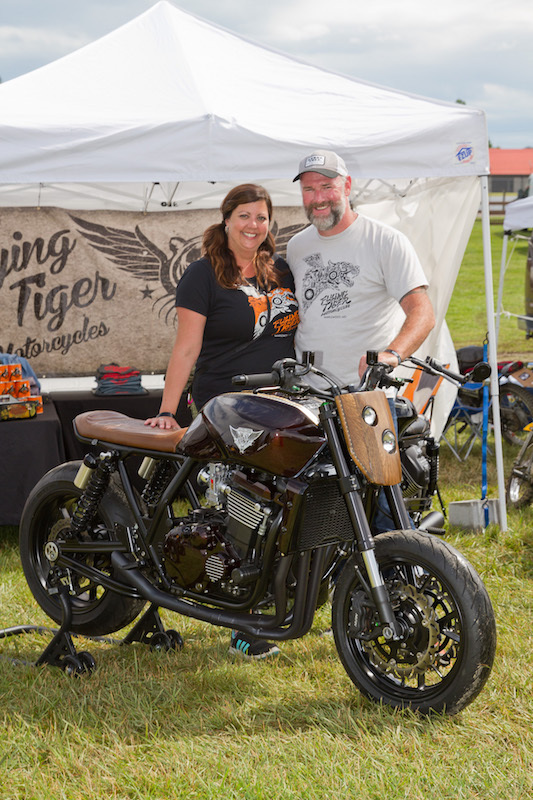 Flying Tiger, located in Maplewood, Mo., built one bike for a local giveaway and another for a national giveaway. Bess said both contests will be text-to-enter. 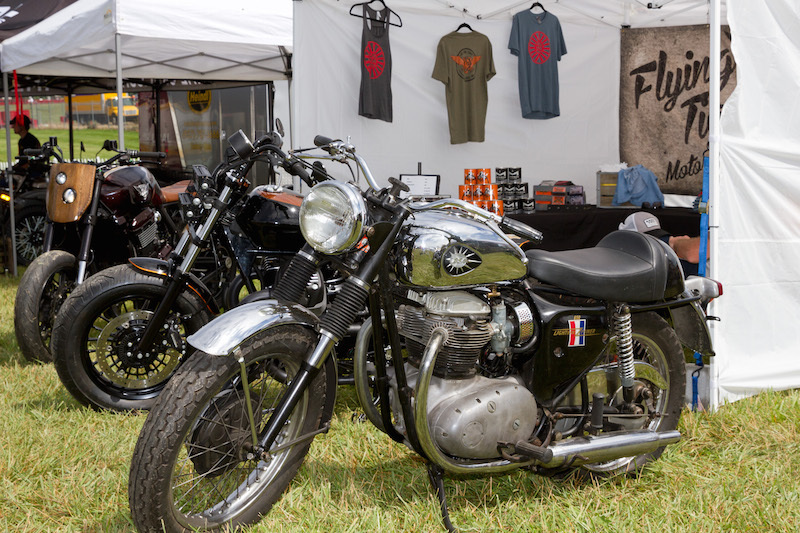 Flying Tiger also carries new Moto Guzzi, Royal Enfield and Zero motorcycles, as well as Genuine Scooters. "We actually started of doing vintage restoration and repair," Bess said. "Then we expanded into the dealerships. Now we are doing custom building, as well." Other builders at AMA Vintage Motorcycle Days, featuring Riders of Kawasaki included Analog Motorcycles, 6th City Cycles, Chi-Jer’s Vintage BikeWorks and Loaded Gun Customs.